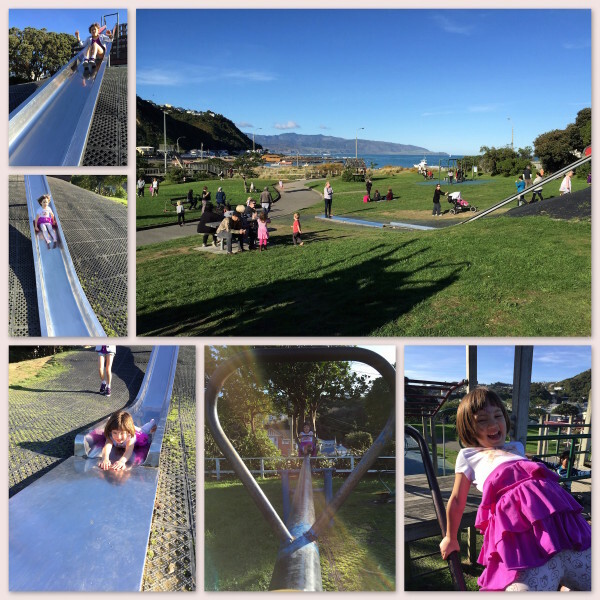 The past couple of weekends have given us some calm, sunshine weather to get out and enjoy the outdoors, despite it being the onset of winter here in New Zealand. We live near the south coast of Wellington and since getting our puppy, in October last year, we have good reason to get out for a walk and go exploring. 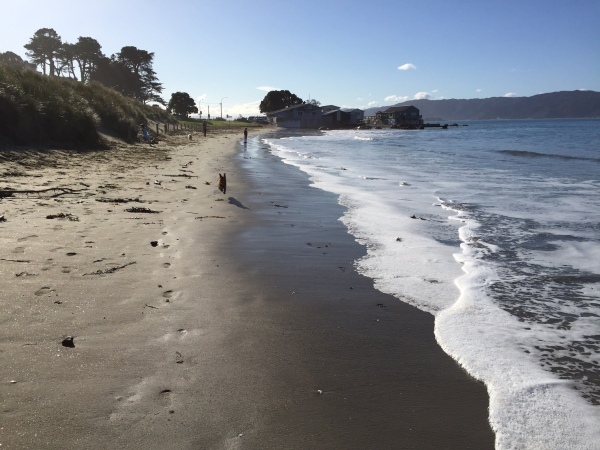 In the winter months he is allowed on more beaches than summer, and we are delighted to see his confidence increasing with his interactions with other dogs. This weekend we took him to a delightful beach in Worser Bay, where dogs are permitted to play, off lead, in the winter. Worser Bay, Wellington, bathed in winter sunshine. He delighted in running around, sniffing the other dogs and (thankfully) running back to us when called. He also made a few repeated dashes for the waves (and is now in need of a good wash down – the salty sea dog he quickly becomes, with his wooly coat!). Our younger two daughters, who accompanied us, (whilst our oldest was busy doing home-work – supposedly – with a friend), delighted in chasing around with Monsieur Cocoa and throwing sticks for him to retrieve (the recent high tides have left plenty of drift-wood strewn about for dogs and children to play with!). Near the beach there is an awesome tree swing too. 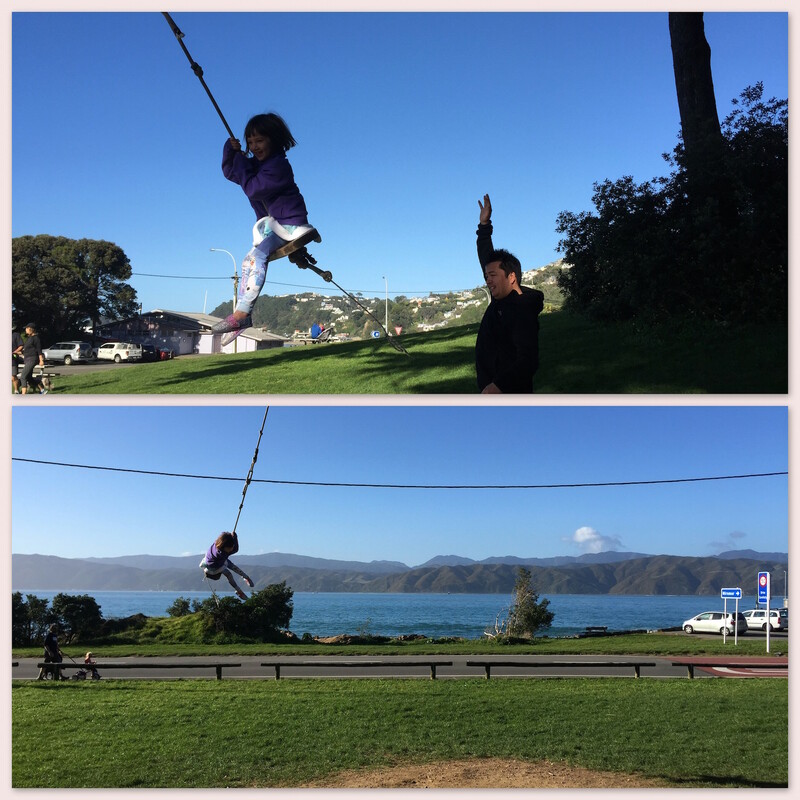 The girls took it in turns to swing out into the sky, with their Daddy kindly doing the hoist and release work! 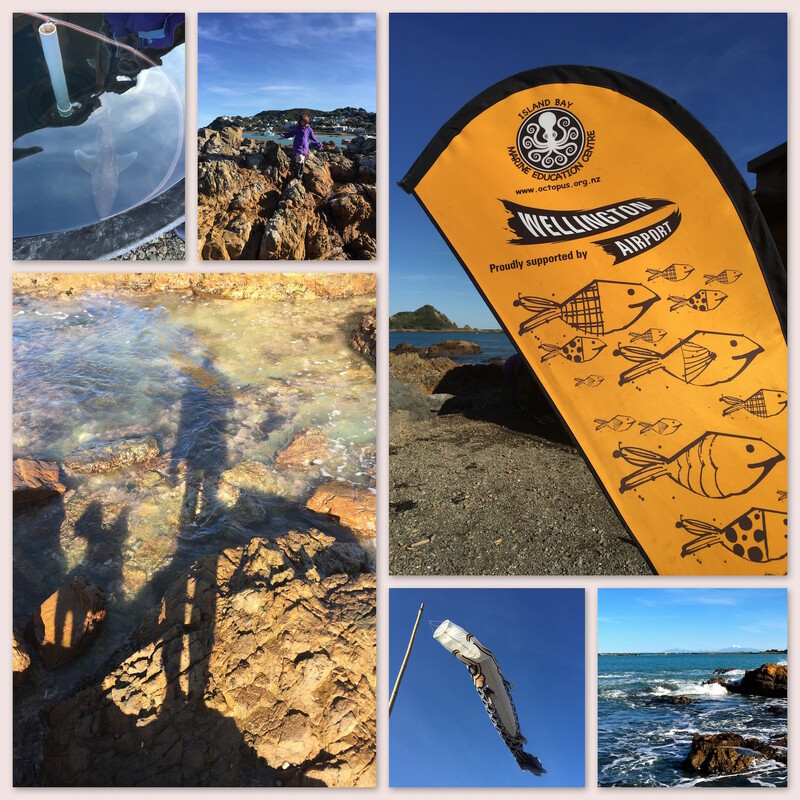 Another favourite place we like to go is the Marine Education Centre, in Island Bay. It is located within a Marine Reserve, so our puppy has to stay on his lead, but he can still take a walk on some of the beaches and dip his nose in a few rock pools. 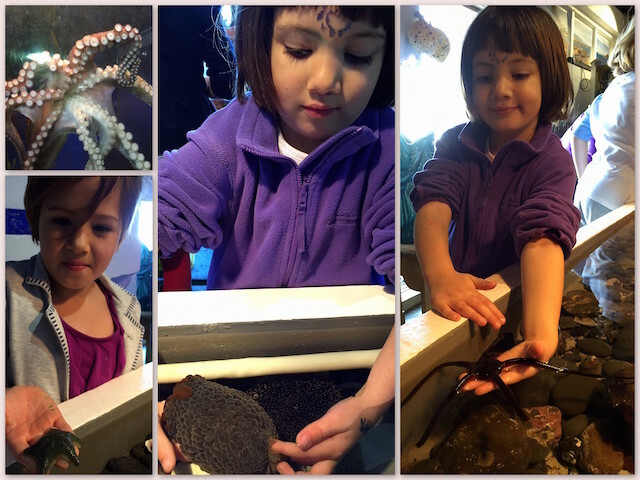 The marine education centre is a marvellous place to learn about the animals that live in the waters of our neighbourhood. It’s a beautiful location to take a stroll too. Nearby is a wonderful playground, over looking Island Bay. Love winter weekends when the sun is smiling on us! 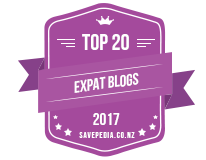 Country Kids, Learning & growing, Life in action - Videos, Lifestyle, Our pets beach, Country Kids, Education sites we ♥, island bay, marine reserve, Walks, winter, Worser Bay. permalink.